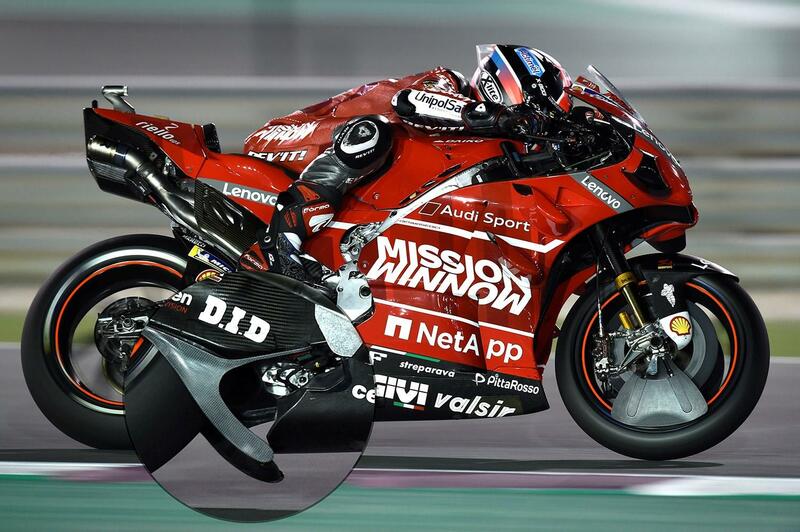 The FIM Court of Appeal have ruled that Ducati’s spoiler device, trialled in the opening round of the 2019 MotoGP season, is legal – despite protests filed by Aprilia, Honda, Suzuki and KTM in the aftermath of Andrea Dovizioso’s win at the Qatar Grand Prix two weeks ago. Declaring the provisional result final and allowing Ducati to use the spoiler in future races, they ruled that there was no case to answer for. The row erupted after Dovizioso sported Ducati technical boss Gigi Dall’Igna’s latest invention, a spoiler fitted to the swinging arm of the Desmosedici. Not explicitly banned by the rules but open to interpretation – and apparently affected by conflicting advice from MotoGP’s technical bosses - it opened a can of worms after the first race of the year. Launched by a protest filed by Gresini Aprilia, Repsol Honda, Ecstar Suzuki and Red Bull KTM after the race at the Losail circuit, the matter was first rejected, then appealed and passed on to the Court of Appeals by the FIM Appeals Stewards in Qatar, led by Bennetts British Superbike race director Stuart Higgs. The court met in Switzerland on Friday and promised that a decision would be reached before this weekend's second round of the championship in Argentina, with teams jetting off to South America today.